A charity auction sketch made by future president Donald Trump in 2005 will be headed for the auction block once again, according to the Washington Post. The drawing shows the artist’s rendition of the Manhattan skyline with Trump Tower anchoring the center spot in a crowd of anonymous buildings. 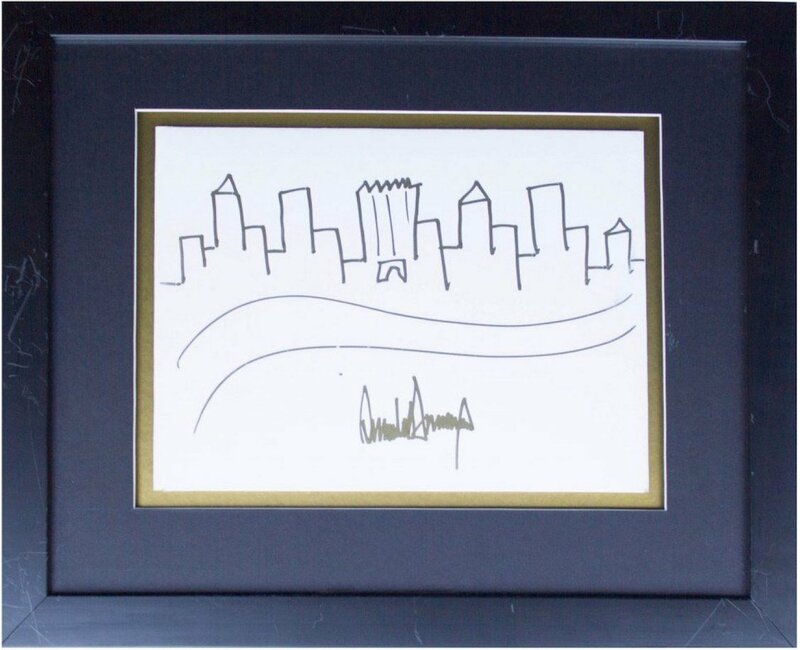 The informal rendering of the rectilinear Midtown tower–which in reality is only the 64th-tallest skyscraper in New York City–and its scrawnier compadres bears the Trump signature in gold marker. The drawing was done for a fundraiser in which public figures and celebrities that included Senators John McCain and Joe Lieberman, Ben Affleck, Charlize Theron, Joe Torre and Jennifer Garner in addition to Trump contributed artworks to raise money for literacy programs. The drawing, which also resembles a bag of popcorn surrounded by middle fingers, is currently owned by an anonymous seller and is set to be auctioned Thursday by Nate D. Sanders Auctions with bidding starting at $9,000.